Although we know that only three days ago, the company introduced an update for the Galaxy J8 to the latest and greatest iteration of Android, today the time has come for its younger brother to receive the update as well – the Galaxy J6. Samsung has released Android 9 Pie update for model numbers J600GTVJU3BSCA / J600GTOWO3SBCA / J600GTVJU3BSCA. Its size is slightly more than 1.2GB. Unlike the Galaxy J8, this upgrade does not contain the latest security patch for April 2019. It is delivered with a patch for the previous month. In addition, users can expect all new features that are integral to the Android 9 Pie system. 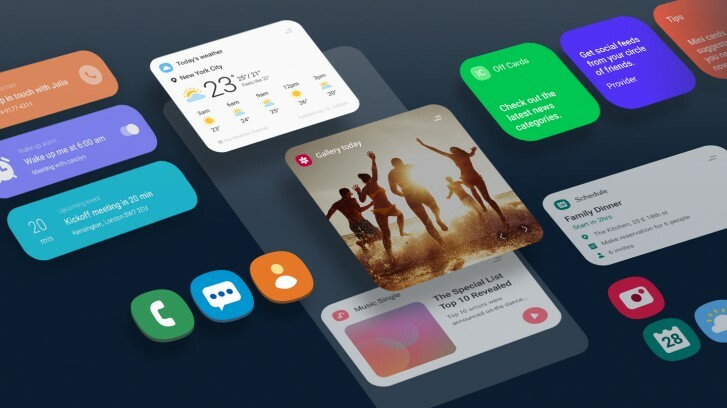 Samsung’s new One UI user interface also comes with a new update. As far as we know, the new version of the software is currently available in Brazil and Italy. However, in the coming days, we are expecting it to come to other countries. In order to download or simply check if the upgrade has arrived on your Galaxy J6, simply go to Settings, then Software Update and select the manual download. Here’s a small reminder. The Samsung Galaxy J6 is a budget smartphone, featuring a 5.6-inch Super AMOLED display, which is protected by Corning Gorilla glass. It is powered by the Exynos 7870 processor along with the Mali-T830 MP1 GPU. It is available in two memory configurations, with 3GB of RAM and 32GB of internal storage, and 4GB of RAM with 64GB storage. It also has one main 13MP camera and one 8MP selfie camera. It is fed with power by a 3000 mAh battery that can not be removed from the device.